Colombian rider Daniel Martinez has announced his signing with Slipstream Sports. The rider will make the move from Wilier Triestiana-Selle Italia. The climber is the second Colombian to be signed ahead of the 2018 season. 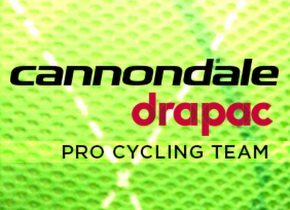 "Thanks to God, my family and everybody that has helped me, I'm very happy to announce that I will be joining Cannondale-Drapac for the next seasons," said the rider to the Colombian Cycling Federation. "I'm happy with my arrival to the highest category of Cycling and to know that I will ride next to one of the best cyclists at the moment, Rigoberto Uran, and Julian Cardona. During the concentration, the calendar and the races I will be in will be defined. I will give my best to the team." The Colombian debuted as a professional at Team Colombia and has spent two seasons at Wilier Triestina, with which he has ridden the Giro d'Italia twice. He also took the victory at the Vuelta del Futuro in Colombia and went to the UCI Centre in Aigle. The announcement comes just days after another Colombian, Julian Cardona, also revealed his signing with the American team. The rider is currently at Medellin Exito where he rides with Oscar Sevilla.